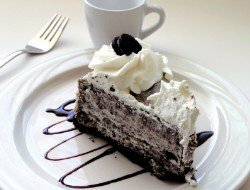 This Oreo Cheesecake Recipe is one of the most delicious desserts the restaurant makes. There are restaurant guests who order whole cheesecakes for serving at their own special functions at home. This Oreo cheesecake has been shipped by customers to places all over the country (USA) and as far away as Europe as special gifts for family members and friends. (Absolutely true). 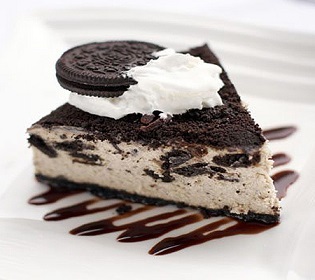 The wonderful taste of Oreo cookies makes this cheesecake “sinfully” delicious, for adults and children alike. Think about preparing this cheesecake for special occasions, including birthdays, Mother's Day, Father's Day and Valentine's Day. 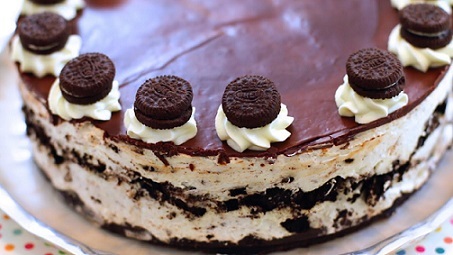 Enjoy your Oreo Cheesecake Recipe and the company of those you share it with! Did you know? Since the introduction of Oreo cookies in 1912 they have become the best-selling cookie in the U.S.?